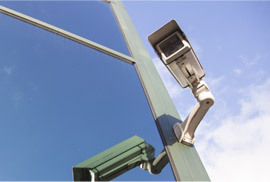 San Tan Communications is your leader in CCTV solutions for all your commercial surveillance needs. We offer a wide range of cameras and can accommodate any budget. San Tan Communications specializes in the design of voice, data, video, surveillance, and fiber optic cabling systems. We offer solutions in wireless, paging, sound masking, access control, CCTV, IT network support, phone systems, and security and fire alarm cabling. San Tan Communications offers IT Network Support with unparalleled expertise and quality of service; guaranteeing fewer problems and faster recovery. 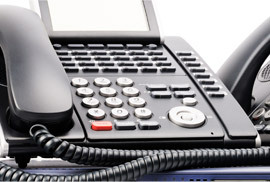 Voice over Internet Protocol (VoIP) telephone systems are designed from the ground up, the (VoIP) network can be personalized to each office environment. We have worked with businesses throughout the metro Phoenix area, including Scottsdale and Tempe. As a veteran-owned company, we understand the dedication that goes into ensuring your day-to-day operations run as smoothly as possible. Our contractors install protective security camera systems, complete with safe wiring that allows for recording and remote viewing capabilities. Our fiber-optic cable installation services have revolutionized the telecommunication industry and can do the same to how you conduct business. 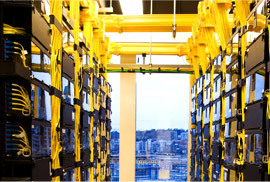 Speed up your complex network cabling systems and ensure it stays up and running. In addition to the initial design and installation services, our trained fiber technicians offer maintenance and support to improve the performance of your VOIP, CCTV and other uses of your network wiring at your Phoenix-area business. Trained technicians can identify and solve server errors and all network issues you might experience. The professional contractors at San Tan Communications can address your business’ needs for security, data protection, employee management, and overall operations. We offer free network wiring installation quotes through the Valley. Contact our support team online to get started. our support team online to schedule an appointment today, or call 480-655-6119.